I have featured the music of John Williams previously but it seems apt to make mention to his soundtrack to "Jurassic Park". As "Jurassic World" pounds the box office it is fitting to revisit the truly icon score to the original film. 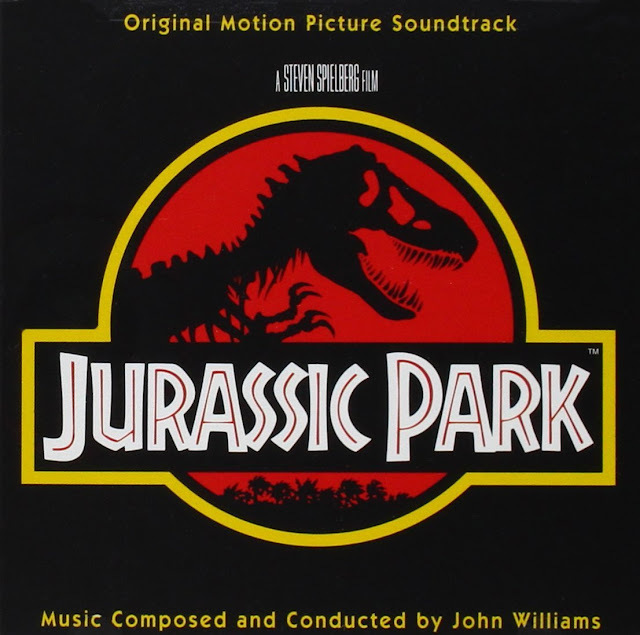 Williams has a way with motifs that ensure they are catchy yet never overplayed, his theme for Jurassic Park is no exception: glorious and poignant, it is the antithesis of the Star Wars theme's bombast but no less effective. It is majestic, like the triumphant entry of Royalty albeit the Royalty it heralds is Mother Nature herself.